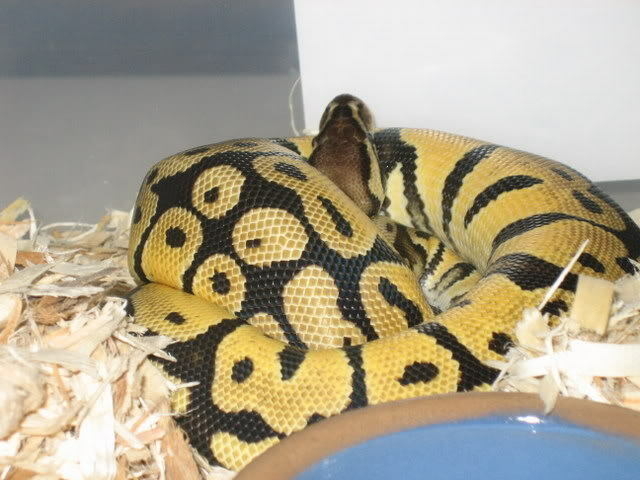 This was a fun project and has made taking care of the Ball Pythons easier. i need to build this, at least a couple of levels! Richard you did a beautiful job, way to go! I have pics of my build here: http://www.ball-pythons.net/forums/s...271#post725271. It's identical and since the main site is down for the write-up, maybe that will help. Amazing rack idea and setup. I don't know if you could provide a full pic of one of your tubs. 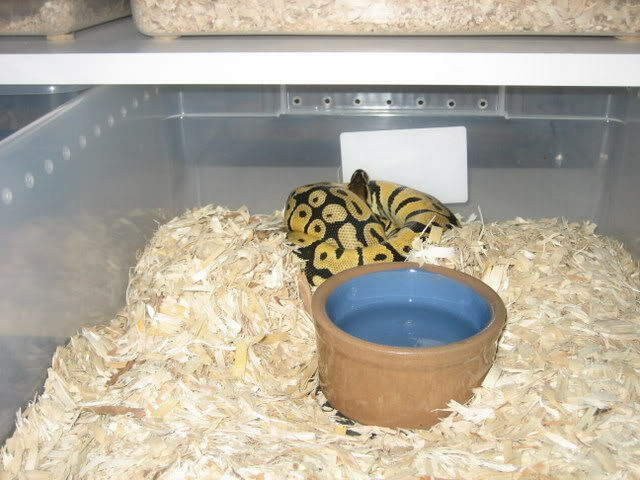 I've never seen the inside of tub in a rack and I'd like to see how your hides are setup. How many can you provide in such a small tub? The Flexwatt was alittle long so I just ran it up the side and the tubs slide right past it. 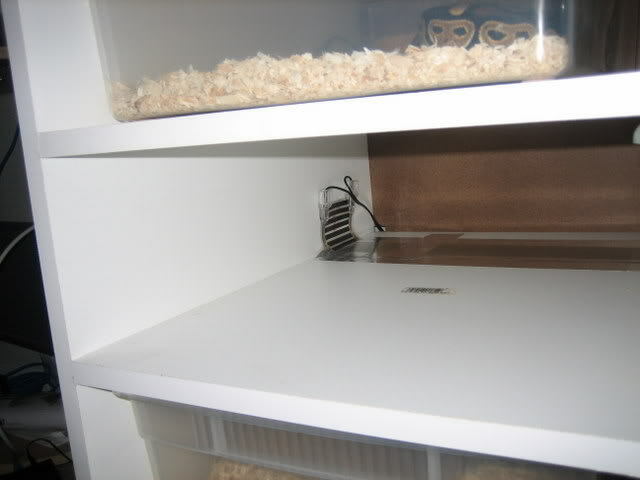 Here is the inside of the tubs as you can see I do not use hides inside the tubs and the snakes have no problems moving from the rear to the front of the tubs. This room is a very low traffic area. On this rack the 32 qt #1756 and the 15 qt #1754 are the same height. you can use 4 15 qt tubs to cover one row. I think my next rack is going to be a 15 qt #1754 24 tub rack using 3 inch flexwatt. It will be 4 tubs across and 6 high.